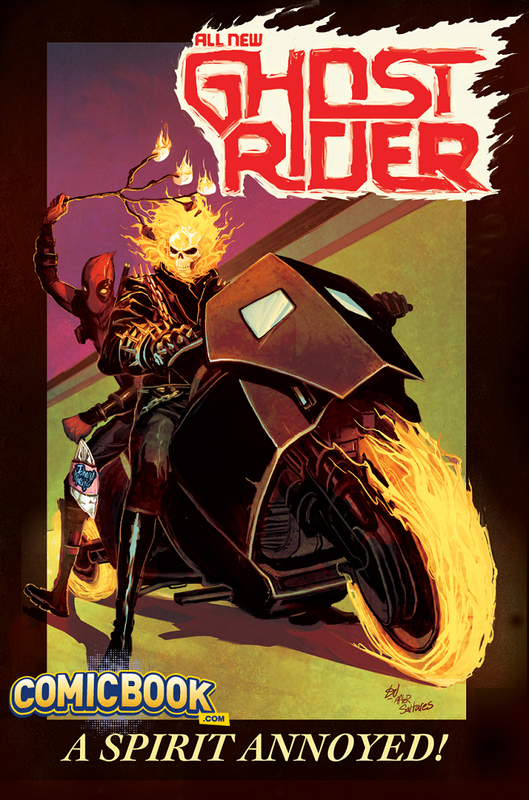 Marvel Comics have provided ComicBook.com with an exclusive sneak peek at the Deadpool Variant for All-New Ghost Rider #8 by Mike Del Mundo. And it's pretty great. As anyone who grew up in the '80s and '90s can tell you, this is an homage to the cover of Ghost Rider Volume 2, #1, which you can see at right. 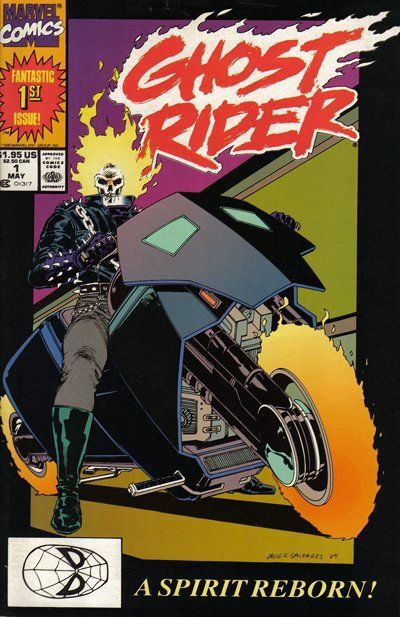 The original art was by Javier Saltares, and featured a totally different Ghost Rider (Danny Ketch) than the one featured in All-New Ghost Rider. This is just the latest in a line of classic covers reimagined with Deadpool helping out. Our favorite? Where he was watching Cap punch out Hitler...!